This installment sees two lads I know very well. James Richards and Lex Hyde of Duck & Cover Brewing took the top gong at this years “Well Tapped” event during Brewsvegas with a wonderfully tart Berliner-weisse. James took some time to sift through my questions. Alex and I have been brewing homebrew for about six years, starting off with a kit and Kilo system that produced some cringe-worthy beers before switching to all grain Brew In A Bag before building our giant automated V3 monster. We brew our homebrew stuff out of Lex’s place at Mt Gravatt and our commercial stuff has come out of Newstead Brewing Co. and Bacchus Brewing Co.
Definitely the Berliner Weisse we did for the Tomahawk Well Tapped Event that took out first place! We brewed this one up with a friend and Sour Beer Expert, Locky Calvex, who has been making some amazing sour homebrews. He kindly donated a sample of his secret Lacto and yeast culture which produced an amazingly sour beer! This time around we have decided to try and culture our own blend of bugs and yeast to try and get our own little “House Blend” going. Just being able to get your special beers out to a wider audience to enjoy and appreciate. No one is making a living doing small scale Gypsy Brewing and we just do it for the love of good beer. It’s also a great way to immerse yourself in the wonderful community we have in Brisbane; it’s surely more of an inconvenience than a help to the breweries but wonderful people like Mark Howes and Ross Kenrick have been nothing but accommodating and willing to help us have our little moment in the spotlight. As long as you are doing it for fun, then Brisbane has got to be the best city in Australia for it right now. The more the merrier! 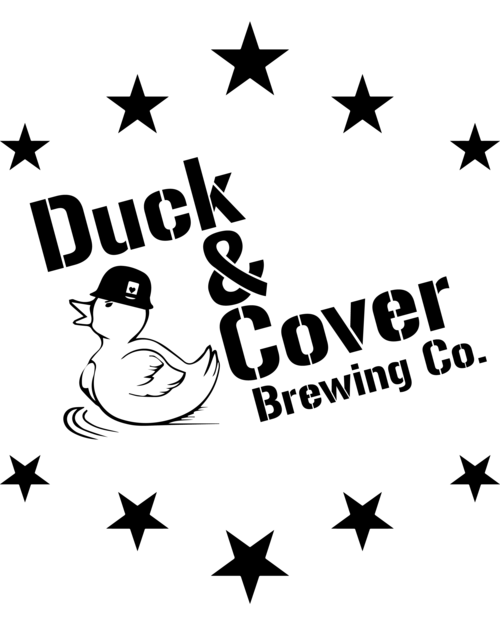 You can check out Duck & Cover and their newly tweaked Berliner-weisse aged on kiwi fruit, along with many others at the ‘Tipsy with the Gypsy‘ event, put on by the Brisbane Beer Barons at The Mill on Constance, October 17th. They’ll be on hand, some with some special one-off brews, and to serving up some chat. Tickets are available on Event Brite, so get them now!